Superstar couple Jennifer Garner and Ben Affleck were photographed out and about on Sunday with their three adorable kiddos, Samuel, Seraphina, and Violet. The family enjoyed the outdoors for a bit before splitting up to run errands and enjoy some one-on-one time, first taking daughter Violet to play a game of basketball. Jennifer played with four-year-old daughter Seraphina at the park while Violet played basketball, then later took the couple’s son, Samuel, shopping. Violet was all smiles as she enjoyed the daddy-daughter time, snug in her mommy’s black coat and a pair of fun red-framed glasses. 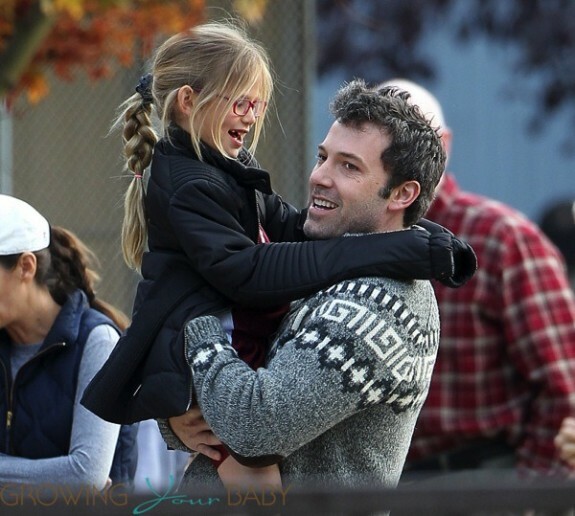 Ben was the portrait of the doting, playful father, carrying Violet while walking hand-in-hand with Seraphina. Jennifer was just as playful at the park, spotted holding a laughing Seraphina upside down on the playground. 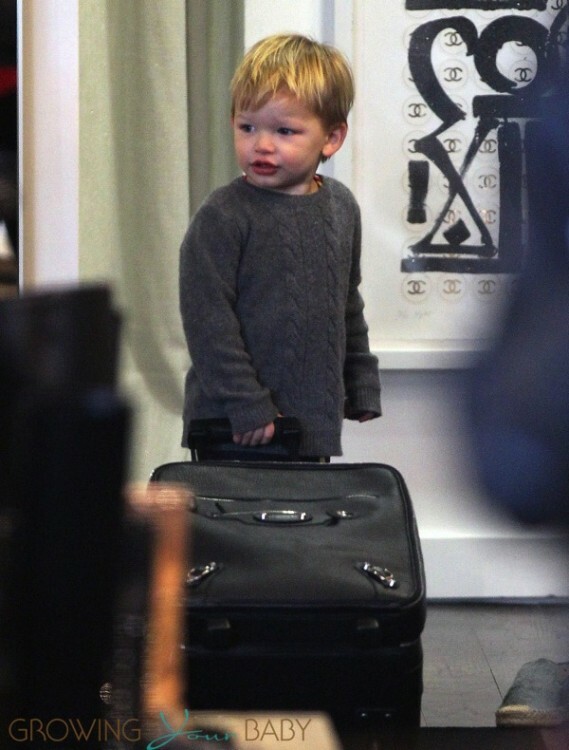 When it was time to snag some mommy-son time with Samuel, Jennifer appeared happy and smitten with the little man, carrying him on her hip in a sporty gray sweater and a casual pair of jeans. Samuel was all smiles too, clearly loving his special time with mommy! You can really see how much he looks like Jennifer, and just take a look at daughter Seraphina playing in the sand at the park – it’s almost impossible to miss her resemblance to daddy Affleck! It’s certainly no secret that she and hubby Ben excel at juggling both parenthood and acting! While Ben works hard on the much-anticipated Batman Vs. Superman (currently in pre-production), Jennifer recently starred in Alexander and the Terrible, Horrible, No Good, Very Bad Day, which is currently in post-production and is slated to release in 2014. The couple manages their busy filming schedule while still making plenty of quality time for their little ones. How’s that for parenting inspiration?